Basin is predrilled on left side for single hole faucet only. 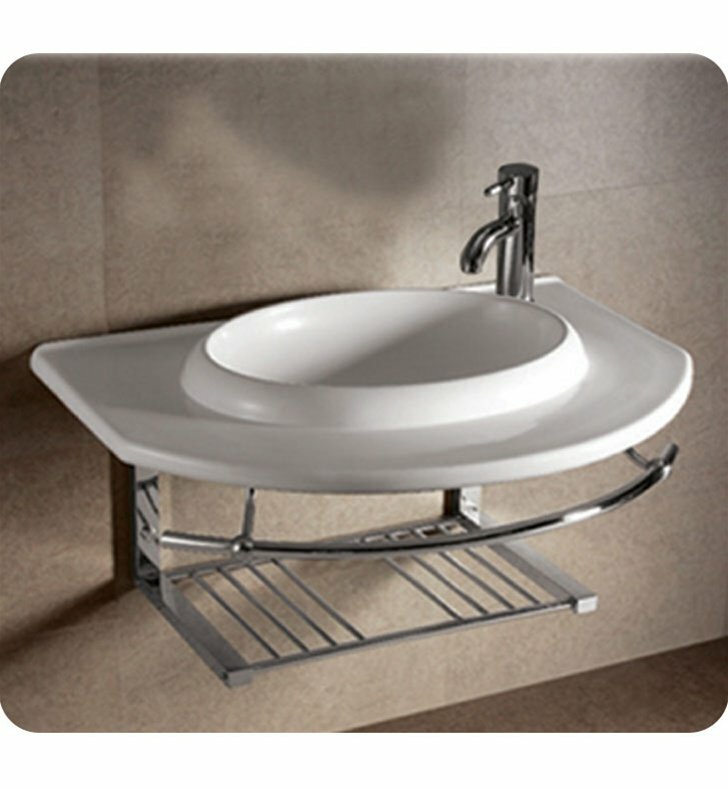 Includes chrome shelf and towel bar. Dimensions: W 35 3/4" x D 25 1/8" x H 5 3/4"